Be the first to hear about their new releases and deals. 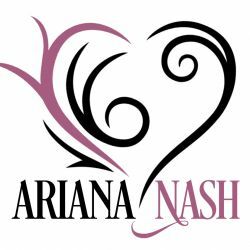 Download the Booksprout app and search for Ariana Nash today! Born to wolves, Ariana Nash only ventures from the Cornish moors when the moon is fat and the night alive with myths and legends. She captures those myths in glass jars and returning home, weaves them into stories filled with forbidden desires, fantasy realms, and wicked delights. Her debut novel Silk & Steel releases in 2019.